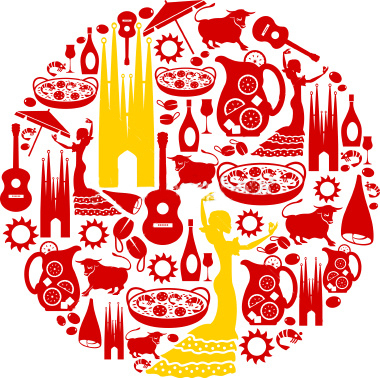 The CELTA is the original and best TEFL course. It stands for ‘Certificate in English Language Teaching to Adults’ and is an initial qualification for people who want to teach English as a Foreign Language (TEFL). It is awarded by the University of Cambridge (English Language Assessment) and is aimed at people with little or no experience of teaching English as a Foreign Language. It is usually done intensively over four or five weeks. Why choose the CELTA as your teaching qualification? The Cambridge CELTA is the most prestigious and well-know qualification in the world for people starting out in the profession. It is moderated by the University of Cambridge (English Language Assessment) to ensure that the quality of the courses is always excellent. The course has a very strong practical slant. This means that you will have plenty of opportunities to actually practise teaching real students. TEFL Health Warning – Will your course be recognised by employers? Sometimes people talk about the 'TEFL'. In fact this acronym stands for 'Teaching English as a Foreign Language' so it isn't in itself a qualification. Any school can set up their own ‘TEFL’ course. The important thing to check before you sign up for a 'TEFL' course is which official body awards the certificate and if the certificate is internationally recognised. Be careful, though! Any organisation can set up its own 'awarding body', design a shield and make itself sound and look 'official', and any school can say that its qualification is recognised when maybe it isn't. The CELTA is awarded by a body which is known and respected all over the world and which you have almost certainly heard of yourself - the University of Cambridge. 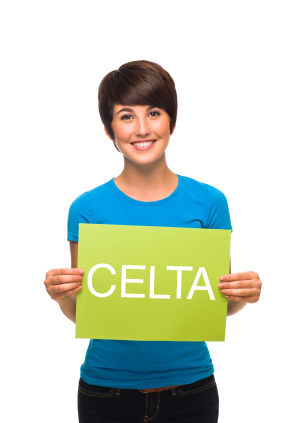 The CELTA is the qualification that employers ask for most frequently. Go to the job offers page on websites such as TEFL.com and check for yourself. Why is it better to do a 5-week course? The Cambridge School CELTA courses are all five weeks long whereas most other CELTA courses last only four weeks. So, why choose a five-week course? On a five-week course, you have more time to assimilate what you have been taught in the input sessions and to put the ideas you learn on the course into practice. Four-week courses can be extremely stressful, which can adversely affect your performance on the course. In fact, many four-week centres warn prospective applicants about this danger before accepting them on the course. The five-week course is less stressful. It's still hard work, though! The extra week can be crucial for candidates who are borderline pass/fail candidates or who are potentially pass B or pass A candidates. Why do the course in Spain? Courses in Spain are cheaper than most in the UK or in the USA. This is because Spain has a cheaper cost of living than many other countries. It's also a country where there is a lot of demand for English teachers so once you've finished the course, you're already well-situated geographically to look for work. It's also a great country to live in for a while: the people, the climate, the culture, all those things that attract tourists here year after year are some of the reasons why you might like to consider living in Spain. Why do the course at Cambridge School Granollers? Cambridge School, Granollers is, of course, an approved CELTA course centre. We are the only centre in Catalonia to offer the less intensive five-week option and one of the few in the world. Our main school is situated 20 kilometres outside Barcelona in an attractive Catalan market town, far enough away from the distractions of the big city to allow you to devote all your time to the course in the week, but close enough to Barcelona to visit easily at weekends. All Cambridge School trainers are official CELTA trainers approved by the University of Cambridge (English Language Assessment). In addition to this, Cambridge School selects trainers who have many years of experience and who are popular with trainees. Cambridge School, Granollers is a very big school with excellent facilities and resources. We have air-conditioned rooms, a well-stocked resource library and computer and overhead projector in every classroom. We provide careers advice and help you to find a job after the course. In fact, we are such a big school that we are often able to offer trainees work ourselves. Our teacher training centre is situated right in the centre of the town so we are surrounded by bars and restaurants where you can eat cheaply and well. Cambridge School is able to offer the CELTA course more cheaply than most or all other centres in Spain without compromising on quality. Homestay accommodation costs in Granollers are at least 100€ lower than in cities such as Madrid or Barcelona.